A new organic market will soon be coming to town. 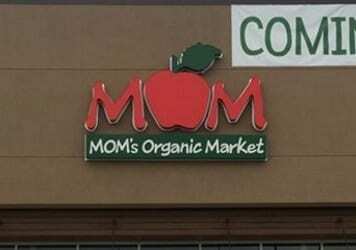 MOM’s Organic Market will hold a grand opening for its new White Marsh location November 11-13, 2016. Scott Nash started MOM’s at the age of 22 with an initial investment of $100 as a home delivery business out of his mom’s garage. On July 2nd 1987, MOM’s made its first sale delivering to a customer who lived in Rockville, MD. After almost 3 decades, MOM’s has stores in four states and DC, employs 1,000+ people, and has created a corporate culture centered on Our Purpose: To protect and restore the environment. 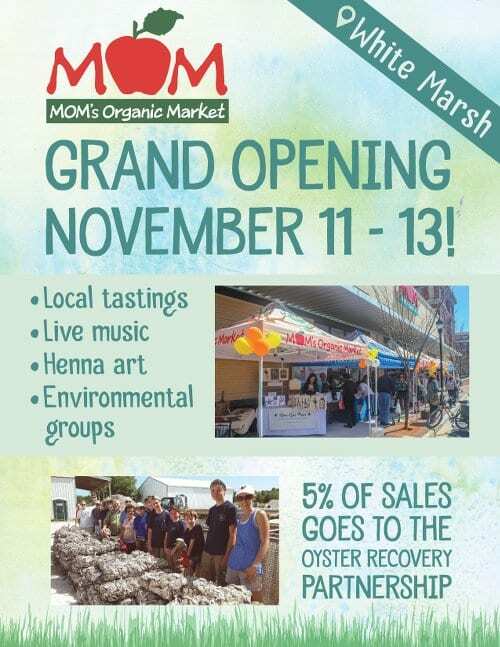 Five percent of MOM’s Grand Opening sales will go to the Oyster Recovery Partnership, helping manage and implement Maryland’s oyster restoration efforts, planting more than 5.2 billion oysters since 1994. The grand opening event begins at 9 a.m. on Friday, November 11th, at the new White Marsh store, located at 5267 Campbell Boulevard.